The above products are recommended for installation or mounting of the Textured Handrail Bracket. StairSuppliesTM provides only the best Handrail Brackets available. Our brackets are heavy duty, very easy to install and look great. The single hole design is far easier to use than any other style. The textured style will give your handrail the solid, rugged look you have always wanted. You will love your handrail brackets from StairSuppliesTM. Textured Handrail Brackets come with installation screws that match the finish on the brackets. What metal is the bracket made of? Thank you for contacting us Dave. Our Textured Handrail Bracket is made of a steel alloy. How many brackets are need for a 15 foot banister? Thank you for your question, Chris. We recommend using one bracket every 48 inches minimum. That would likely result in using four (4) brackets for your 15 foot banister. Are these recommended for exterior use. John, Thanks for your question. 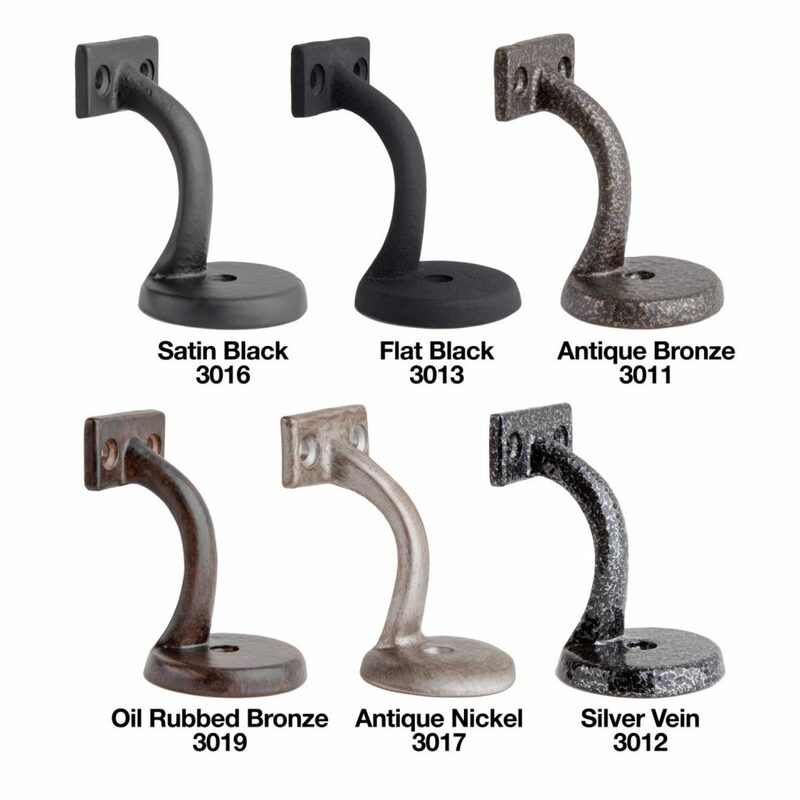 Unfortunately, our classic and textured handrail brackets are designed for interior use. To use them outdoors, we would suggest adding an additional rust protection, such as powder coating, to the bracket. Are the brackets in a set or are they priced individually? Thank you for checking, Melissa. The prices are for individual brackets. We would suggest one bracket for every 48″ of handrail at a minimum. Will these brackets work with a 2″ round stair rail? Hello, Steve. Thank you for your question. These brackets are designed and manufactured for use with flat handrail. I currently have the typical 3 screw bracket that I’d like to upgrade. The railing is 2×3 oak. I am concerned these single screw brackets dont have the same wall strength as the standard 3 screw bracket. How is that addressed? As long as you are mounting into a wall stud, you shouldn’t have any issues, even with one screw. Do they come with screws for mounting to the studs as well as to the handrail? 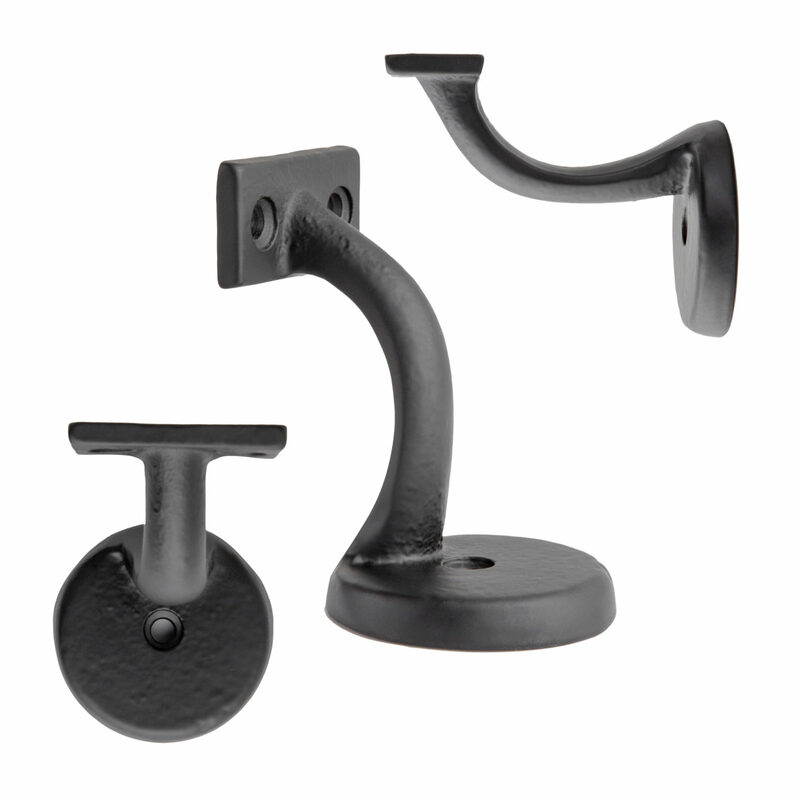 The Textured, Long-Reach, and Classic Handrail Brackets do not come with mounting screws included. Gene, thanks for the question. I waited to confirm with our shipping manager, but all three screws are included with the bracket. I just installed a 7′ stair bannister. The rail is 1 1/2″, is the 2 screw section 1 1/2″ or less? I am not concerned with the single screw side (wall side) as it will be mounted in a stud. There is one 2” screw, and two that are 1 1/4”. If you have any other questions, please don’t hesitate to call one of our customer support specialists at (574) 975 0288. Do you make a wall bracket for a wood railing that only projects 2-2.5″ from the wall? I will be mounting the bracket on a 1″ x 4″ board so the bracket will start off being 1″ off the wall. The standard bracket extends to far out into the stairway. Our Classic Handrail Bracket has a reach of 2 5/8″ which might work for you. 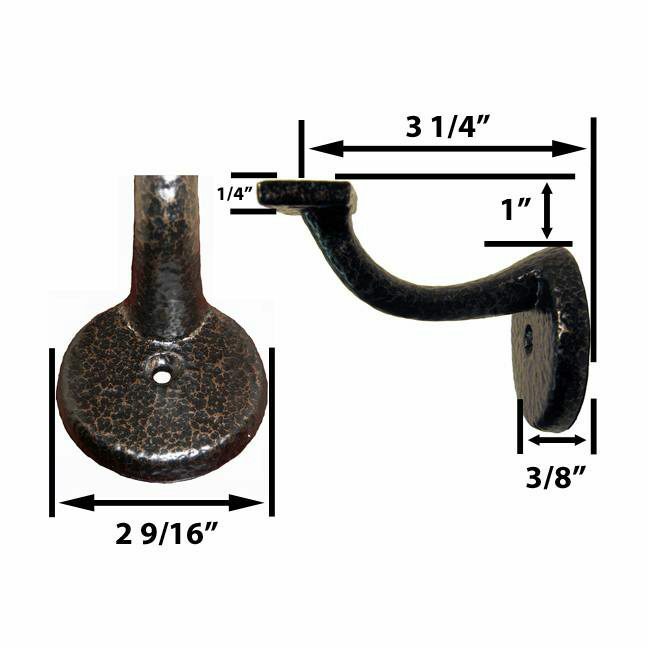 The Textured Handrail Bracket extends 3.25 inches from the wall – that distance is from the wall to the holes that would attach to the handrail. Thanks for the question Dave. The screws should match the color, but not the texture of the brackets.